Test setups with the Up-Draft II Opti-Neb nebulizer and 3 positive expiratory pressure (PEP) devices: Acapella Duet, Acapella Choice, and EzPAP. The extension tube length is 15 cm. 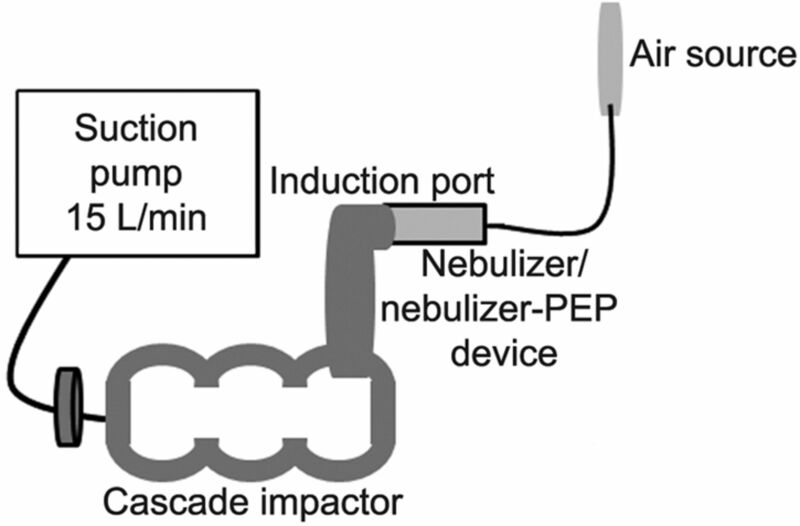 Test setups with the LC Plus nebulizer and 2 positive expiratory pressure (PEP) devices: Pari PEP, and Pari PEP S.
Experimental setup to measure aerosol characteristics. Experimental setup to measure patient dose with breathing simulation. 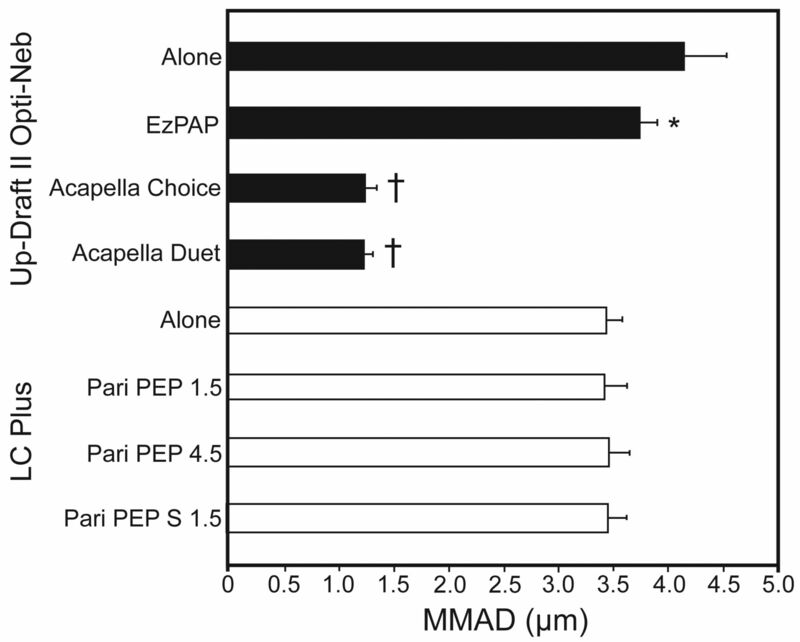 Mass median aerodynamic diameter (MMAD) of aerosols from the Up-Draft II Opti-Neb and LC Plus nebulizers, alone and connected to PEP devices: Acapella Duet, Acapella Choice, EzPAP, Pari PEP, and Pari PEP S, with the resistance set at 1.5 or 4.5. The data bars represent the means from 6 experiments. The whisker bars represent the standard deviations. * P = .02 compared to nebulizer alone. † P < .001 compared to nebulizer alone.